1. Mitchell completed grade 11 and started grade 12. He continues to be a 90%+ average student. I am so proud of his accomplishments and look forward to what God has in store for his future. In November he was accepted into a Bible College located about 3 hours from where we live, so he'll be starting his post-secondary education there in September of 2017. 2. Tyrone completed grade 9 and started grade 10. He is now officially in high school and is taking the credit courses he needs in order to obtain a grade 12 diploma a couple of years down the road. Ty's transition from grade 9 to 10 has gone way more smoothly than Mitchell's transition did a couple of years ago, for which I AM SO GRATEFUL. Ty is also excelling in his classes and rarely do I have to remind him about getting his school work done. 3. My last 6 months of work (January - June 2016) at the Hutterite Colony school where I worked for 6 years were some of the best work months of my life. I was affirmed and encouraged by my boss, colleagues and parents of students, making me realize that my work there was worthwhile and effective. That is probably one of the biggest reasons why it was so devastating to find out that this job was removed from my life at the end of June, due to budget cutbacks in the school division I work for. 4. Our family summer stay-cations to various Saskatchewan-based attractions were definitely highlights for me. We toured the Tunnels of Moose Jaw, visited the real-life town where the TV show, Corner Gas, was filmed (Rouleau, SK), explored the sand dunes in the southern part of our province, and visited a very unique "forest", full of crooked trees. 5. God's provision always surprises me, even though I should not be surprised at how well He cares for His children. At the end of June I was job-less. During the first two weeks of July, I applied for over 25 administrative-related jobs, without so much as an interview. In the meantime, God had already prepared a place for me to work; however, I was reluctant to accept another position as an EA in different school. I took a risk and began working in a school with 800+ students and 80 staff members (my prior school had about 35 students and 4 staff members). I can't say my transition into the new job is something that "went well" in 2016, but I am grateful to have employment, so the fact that I have a job at the moment is what "went well". 6. I'm not sure how this fits into the "went well" category, exactly, but due to my job loss, God has revealed some areas in my life personally that need work--lots of work. These areas span from my own personal growth to working on restoring key relationships in my life that have been damaged for various reasons. I have been forced to evaluate many things about myself, and while I'm only beginning this process, I guess I would have to categorize this as a good thing, only because it is going to help in my transformation process into begin more like Mary and less like Martha. I am sure there is so much more that went well in 2016, but these are the 6 things that stand out most in my mind. When I think back on 2016, I don't view it as a "good" year. However, I know it wasn't all bad, and of course there are many positive moments day-to-day that I have forgotten. My journey is not always positive, but I'm slowly realizing that the difficulties I face are opportunities for growth and provide a catalyst to allow God to reveal more of His character to me. God used the story(s) of two well-known women in the Bible, Martha and Mary, to demonstrate the type of relationship He wants with each of us. The two sisters had contrasting approaches to their walk with God -- and thus got difference results. Martha was anxious and un-trusting. Mary got alone with God and worshipped at Jesus' feet. You might remember that in one story Jesus was visiting the home of the two sisters when Martha came to Him to complain about her sister, Mary. When I read this passage of scripture I get the image of a house busy with people engaged in numerous conversations around the house. Martha is running about trying to figure out how everybody is going to get fed and coordinating the logistics of cooking for all the people. Somewhere in a secluded corner the Lord Jesus Christ is calmly teaching a handful of people who are intently listening to His every word. Mary is sitting at His feet, very content and very settled. Martha frantically rushes over to interrupt the intimate gathering. Everyone casually looks up at her as the Lord easily sets the record straight. Feeling compassion for Martha, He reassuringly says, “Martha, Martha … you are worried and upset about many things, but only one thing is needed. Mary has chosen what is better, and it will not be taken away from her." After all, if Jesus could feed the 4,000 (Matthew 15:32-39) and the 5,000 (Matthew 14:14-21), then certainly He could handle supper for a house full of people. In another story about Jesus raising Lazarus from the dead, the two sisters had different reactions to the news that Jesus was coming to see them after their brother Lazarus had died. There are many lessons that Jesus prepared us to see in this whole scenario. Herein we focus on the differences between the two sisters' approaches to Jesus before He brought Lazarus back to life. In verse 20 we see the first difference between Martha and Mary when they heard that Jesus was coming. Martha took off to go find Jesus. The King James Bible (KJV) says Mary sat still. Others translations say she stayed at home (NIV) or remained sitting in the house (AMP). Mary had a purpose. The Bible does not say she was crying, weeping or anxious. She was waiting on Jesus just as she had done when Jesus visited her home in the earlier example from Luke 10. We can assume that Mary was preparing her heart through prayer. Whereas Martha was running around -- the same as she had done in Luke 10. In verse 25 and 26 Jesus spoke to Martha but Martha did not really hear Him (v. 21-22). She was focused on what she had to say to Him. Martha talked at Jesus not to Him and after she had her say, she left Him. The consequence was that Martha missed what Jesus was conveying to her. Do we often do the same ourselves? Jesus must have asked Martha for Mary because when Martha got back to the house she told Mary that The Master is come, and calleth for thee (v. 28). Where are We When God Calls? Mary then went to see Jesus - at the right time. She went when He called her, once He is come (v. 28) or had come. She went without delay. She went when she was properly prepared because she had been praying and waiting. This is also part of the "Mary Solution," sitting and waiting on Jesus, preparing our hearts and responding appropriately when He calls. As Mary sat still in her house, the Jews who were there might have thought that Mary was focused on death, sorrow, weeping, and despair (v. 31). But Mary was focused on Jesus. Had she been focused solely on her brother Lazarus' death, she might have been full of unbelief and would not have been prepared to meet with Jesus. Mary met Jesus in the same place as Martha (v. 30). She said the same thing as Martha (v. 21 and v. 32), "Lord, if thou hadst been here, my brother had not died." But Mary, unlike Martha, worshipped at His feet (v. 31) and consequently Mary got a different response. The difference was in their preparation and consequently in their approaches as well. Where we are and how we approach God makes a difference. Both Mary and Martha were believers in the one true God. But, their walk was not the same. Mary was focused on the Saviour because she had gotten quiet and alone with Him. Mary met Jesus in the same place as she did when Jesus was in her home in Luke 10, at His feet! Therefore, Jesus was moved. He groaned in the spirit and was troubled (v. 33). On the other hand, Martha had not spent the time in God's presence. Martha, just as in Luke 10 was overcome by her feelings. Her faith was not at a high level. Our unbelief can block God's miracles in our lives. Even when Jesus was ready to raise Lazarus from the dead, Martha was filled with unbelief. She saw death. She said to Jesus, " ... Lord, by this time he stinketh: for he hath been dead four days." This was the equivalent to Martha asking Jesus, "Why would you bother to open his grave. He's dead. He stinks. Why go there, Lord?" Martha was not ready to see the glory of God. She was not ready for God's miracle in her life. But, again Jesus lovingly corrects the situation just as in Luke 10, when He says, "if thou wouldest believe, thou shouldest see the glory of God" (v. 40). Are you a Mary or Are You a Martha ... in your life with God? 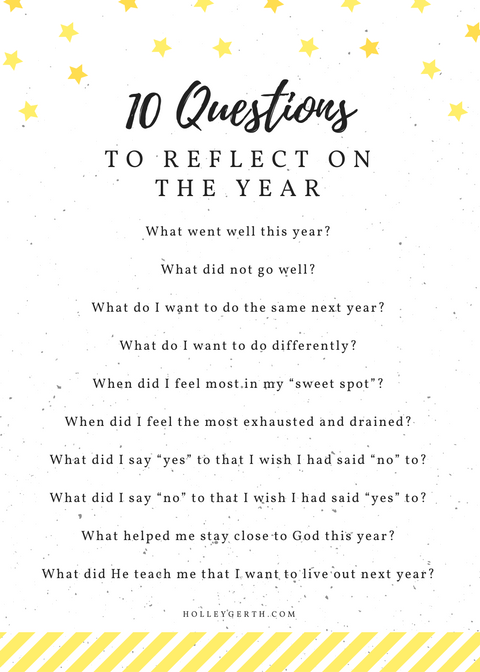 Over the next several blog posts, I am going to reflect on 10 questions below. It may take me a few weeks to get through these all, so please be patient. On the other hand, once I start writing, I might just be more motivated than I was over the past 12 months to write in this space. Here is the Christmas letter I sent out to various friends and family this Christmas season. Since my blogging took a bit of a hiatus during 2016, I thought it appropriate to post the letter here . . . then you'll at least have a bit of a glimpse into what went on over the past 12 months! I plan to be more faithful in my blogging in 2017, but we'll see how that goes. Enjoy the letter (I have modified some parts for privacy reasons, but for the most part it should still make sense). It seems like it’s been years since I’ve included a Christmas Letter with our card, so I thought it was time to give an update in this format. Although social media has provided an opportunity for more life updates on a regular basis, some of our family and friends are not connected in that way, so this is an opportunity for you to read about what we’ve all been up to recently. 2016 brought many changes to our lives, and it appears that 2017 will be doing the same. Wayne’s 10-year anniversary of employment where he currently works occurred in January. He now enjoys access to 4 weeks of holidays rather than 3; however, he has yet to max-out his holidays. For the most part, his workplace has managed to stay afloat despite their connection to the Canadian oilfields. Thankfully, the management has tried to diversify what they build, and it was not until this November that they finally felt the effects of what is happening with the oil industry. Thus, Wayne has received a layoff notice effective the beginning of January 2017, although he is hoping this is just a precautionary measure his employer is taking, hoping that the layoff will not actually come into effect. 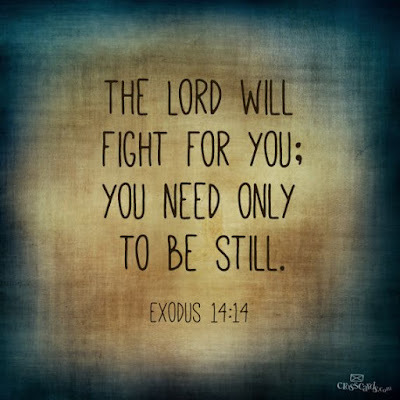 However, we trust that God has this all under control and we know that He will continue to provide for our needs despite the uncertainty surrounding Wayne’s job. Aside from his job, Wayne has kept busy this summer and fall working on a renovation project on one of our outbuildings, which was originally used as a storage shed. Wayne has been slowly transforming it into a heated workshop he will be able to use year-round. He’s making great progress and hopefully it will be fully operational by next summer. While Wayne was on summer holidays, as a family we were able to participate in some “stay-cations” closer to home. We visited the Tunnels of Moose Jaw, the site of the television show, Corner Gas in Rouleau, SK, as well as the Sand Dunes close to Leader, SK. The boys and I also took a trip with my sister and niece to the Crooked Tree Forest near Hafford, SK. All of these experiences were enjoyable, but it was nice to come home to our own comfy beds at the end of our days in the sun. Mitchell is currently in grade 12 at an online school. He is diligently working on completing his first-semester classes, which include Calculus, Physics, Workplace & Apprenticeship Math, and English. He is a very strong math student, and with aspirations of attending the College of Engineering at the U of S at some point in the future, he knows the importance of working hard in order to enter that particular field. He was recently accepted into the one-year Impact program at Millar College of the Bible, where he will start in the fall of 2017. It’s hard to believe how quickly the last 18 years have flown by— it literally seems like we were just announcing his birth, and now he’s in grade 12! Mitchell is excited about the opportunity to attend Bible College, and we look forward to watching God’s plans for his life as an adult unfold. Mitchell is very active in our church and youth group. He plays drums on a worship team, and also ushers on a regular basis. Last spring he started a Bible study group for teenage boys, which meets every-0ther-week. It has been encouraging to watch this group of boys forge friendships in order to build one another up in their faith and lives. Tyrone is in grade 10, also at an online school. His favourite subject is History, and unlike his older brother, he loathes his Foundations & Pre-Calculus math class. This semester Ty is also taking English and Photography. He has taken some amazing photos, and he is better at using our camera than I am. Ty also enjoys drumming on the church worship team, and he provides leadership to his youth group through the YOT Club (Youth Overseeing Team). He is also an active participant in Mitchell’s Bible study group, which has provided him with a strong support system. My life is extremely busy as I oversee the education of Mitchell and Ty, even though they have designated teachers for their online school. I provide assistance with scheduling, proofreading their assignments, and generally making sure they stay motivated to do their work. It’s going to feel strange next year to have this responsibility cut in half after Mitchell graduates from high school. I continue to work as an Educational Assistant, but this past June I received some devastating news regarding my job. My six years of working at a Colony School came to an end, and leaving this school broke my heart. Our school division had to make some extreme staffing cuts, which left me jobless. I attempted to re-enter the administrative workforce, which I haven’t “officially” been a part of for over 9 years, so it was tough to even get an interview. However, due to my level of seniority within the school division, I was able to transfer to a different school as an E.A. I now work at a different school located about 75 km from where we live. I went from working in a school of approximately 40 students at the Colony, to 800+ students at my new school. To say it’s been a huge adjustment would be an understatement. My transition to the new school has gone as well as can be expected, although I continue to grieve the loss of my former workplace. Beyond my job and helping the boys with their school, I teach a grade 3 girls’ Sunday School class, which I thoroughly enjoy. I also lead a small group Bible study for women, which occurs about twice a month. Wayne and I also recently joined a Life Group at our church and it’s been great to get to start getting to know some friends on a deeper level, as we explore God’s Word together. This December we celebrate living on the acreage for 10 years . . . time passes quickly when you’re having fun! We enjoy the space and freedom we have here . . . as well as our 4 dogs and 1 cat (although another cat just decided to join us, so make that 2 cats!). Thanks for taking the time to read a bit about what we’ve been up to. We wish you all the best in 2017 and hope you will experience true Joy this Christmas season as we celebrate the birth of a baby who continues to change the world! don't keep going over old history. Be alert, be present. I'm about to do something brand-new. It's bursting out? Don't you see it? . . . .
As I look back on the past year, I can honestly say that I did not always hold to the promise of hope depicted in the above passage. I didn't always "forget" what's happened. I did continue to "go over old history". I wasn't always alert. I wasn't always present. I didn't always look for the "brand-new" that God was "bursting out" to me. And sadly, I didn't always "see it". I didn't see the "road through the desert", or the "rivers in the badlands". I actually spent much of the year in despair, especially the second-half of it. I didn't always feel hopeful, and I definitely didn't always feel like I was trusting that God's plan was better than what I ultimately had in mind for myself, my family, my friends, my co-workers, the world, etc. This year has left me with many unanswered questions, but lately I've been reminded to continue to trust, despite my sinful nature to become suspicious of God, unable to trust that He really knows what He's doing in the lives of those closest to me, as well as His plan and purposes for every human being on earth. People in my world and outside the borders of my own existence have suffered huge losses this year. There have been unexplained deaths and unexpected diagnosis . . . failed marriages and failed churches . . . struggling friendships and bad choices leading to serious consequences . . . an estranged child and a mother who is somehow trying to be everything but somehow feels like she is nothing in the process . . . the underlying heaviness that is being carried around due to unresolved issues from the past . . . a world divided due to core belief systems . . . and a world so desperately in need of a saviour . . . . . . the list could go on and on, and some of what is noted above is about me personally--some of it is not, but I am somehow connected to it all in one way or another. I arrived at December 18th, my last actual work day of 2015, and after getting home from work and opening my gifts from my students and co-workers with my boys, I crashed on the couch and stayed there for two hours until Wayne came home from work. I was literally to the point of being unable to move when he saw me lying there. The supper hour had come and gone and I had no ability to get off the couch. With the hope of celebrating the end of another school session, Wayne suggested that we abandon my plans for supper at home and try out a restaurant in the town next to ours. Somehow I was able to drag myself off the couch and get somewhat refreshed. We all piled into my husband's truck. The supper was delicious and I was hugely relieved to not have the responsibility of cooking a meal that evening. Fast-forward to the last day of 2015 and I will say that the past 13 days have allowed me to revitalize myself so that I am ready to embark on the next adventure in school for myself in terms of my job, as well as for the next segment of school that my boys attend. God has been reminding me for the past several weeks, in various ways (to get my attention, I'm sure), that I need to rest. Tomorrow I will reveal my theme verse for 2016 and I'll give you a clue . . . it has to do with the very concept of resting and being still. For the sake of keeping track of my own little world, the following is a season-by-season synopsis of what happened in my life in 2015 . . . at least of what I can remember. I know I've missed something, but this is the best I can conjure up. I'll try to focus on the positive, with a little does of reality as it may be necessary from time-to-time. The end of Mitchell's first semester for grade ten occurred at the end of January, and he finished it off with stellar marks! He began his next semester and had to do extra assignments for the first two weeks of February so that he could attend a missions trip. Mitchell attended SOAR for ten days in February, a missions trip that took place right in our very own city! He and a group of seven other youth and youth leaders from our church embarked on a mission to serve and minister in the city closest to where we live. It was a very eye-opening experience for Mitchell and this really encouraged spiritual growth in him. At the end of March we celebrated the first birthday of our puppies, Vimy and Juno! Following their birthday, they both had the unpleasant gift of being transformed into "altered females", as the vet now notes their gender in their files. April consisted of some tricky end-of-winter weather to contend with, but my highlight for the month was attending and speaking at my future niece-in-law's bridal shower. She married my nephew at the end of May, and it was a joy to celebrate this occasion with my nephew, new niece-in-law, sister and extended family. Speaking some words of encouragement at the bridal shower was an honour and delight. Helping with the wedding preparations was one of the highlights of 2015 for me. In May I was also given the amazing opportunity to speak to a group of women at a friend's church. My topic was "Grace in the Home" and it was a unique opportunity to share about my trials and triumphs with step-parenting and parenting and overcoming the challenges of transforming my legalistic mindset into the mindset of grace-based living. That's my talk in a nutshell, but in all reality I spoke for almost 30 minutes to these women--another highlight for me in 2015. At the end of May, Mitchell was able to be part of a performance to a group of young men fighting addictions. Mitch played his djembe (hand-held drum) while his youth pastor and the youth pastor's father sang and played their guitar and fiddle. Because the facility was male-only, I was not able to be there for the performance, but Mitchell was very blessed by this opportunity. While Mitchell was embarking on that adventure, Wayne and Ty got to spend the weekend together with other men and teenage boys from our church on a fishing trip. Ty and Wayne had a great time together and I was so thankful for this opportunity they were given. June brought about one of my favourite events of the year--Mitchell's and Ty's annual drum recital! I love hearing them perform. They both did an excellent job. June is also Ty's birthday month, and it is always fun celebrating the day this amazing teenager was born. In 2015 Tyrone turned 14, and in true Star Wars fan fashion, the cake I made for him was a storm trooper head. June wrapped-up another school year for us all, and my boys did very well with their online school courses. July began with very hot and dry weather. The crops in our prairie world were looking very bleak. Finally, rain arrived and I think all-in-all, considering the lack of precipitation in early spring and early summer, the fields in our area produced better than expected. Summer brought the anticipation of Mitchell's longest stint at camp for a summer yet. His original plan was to attend staff training, work for 2 weeks as a junior counselor and work 4 weeks in a Work Crew program that the camp offers for teenagers. In total he completed half of those assignments, due to illness and another major life change that happened for our extended family as a whole. The description of that event follows. The second week of July my parents announced that they were planning to sell their house in the small town where I grew up and move into the city. 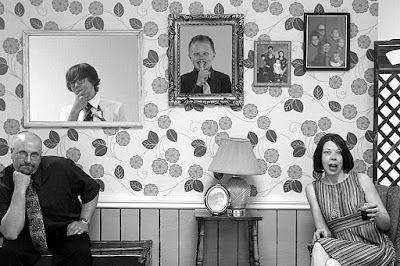 To make a long story short, the summer in which I was anticipating a leisurely two-months of relaxation, turned into the summer of preparing for, selling and moving my parents into their new home. The sale of the house took place very quickly, and with the much-needed and appreciated help of my five siblings, we managed to get our parents moved out and settled into their new place by the end of September. They now live only 35 minutes from me and I travel mostly on pavement to visit them, whereas before it was a 50 minute trip on mostly gravel roads. They seem to have made the transition into city-living with success, and I'm very grateful that the changes mostly took place during the months of July and August when I was off work. I cannot imagine what it would have been like to go through the process of selling their house, finding an alternate place for them to live, plus moving them during a season in which I was working. That would have been brutal. Because Mitchell was away at camp a lot of the summer, Tyrone and I got to have a lot of one-on-one time. That was wonderful. Wayne had two weeks off at the beginning of August and we got some renovation projects completed, since the "moving my parents" mode during those two weeks was pretty laid-back right then. Ty and I took a trip to another province with my sister and my niece to visit another sister and her family. It was great to get away and literally do what felt like "nothing" for a few days-- nothing but eat, relax and play games. Those were probably the most relaxing days of my entire summer. I came off of my summer not feeling as rested and recuperated as I should have. This brought me into the crazy month of September with limited physical and emotional resources, and I literally felt like I was drowning in my own life. My workload at school came with the awesome responsibility of teaching five grade two students, whom I love dearly. However, working with students who claim English as their second language is not always easy. I ended the month of September feeling like I hadn't really made any progress with them at all, but I am happy to report that as the fall continued and turned into winter, my students have made major progress and it's hard to believe they are the same kids who entered my "learning space" only a few months ago . . .
September brought challenge for my boys as well, since they had to get into their own rhythm of balancing schedules in correlation to their online school work, and we all struggled to get back into the groove. Mixed into this was my parents' official "moving day", church issues, friendship challenges, family birthdays, integration of a new dog into our home (we inherited my parents' dog, Billy, whom we love and adore), financial strain, vehicle problems, my leadership of a women's prayer support group, and a plethora of other run-of-the-mill day-to-day activities. I was so glad when the end of September arrived. The newest addition to our family . . . a Bichon Frise named Billy! However, there were some highlights from the month and the two main ones were Mitchell's 16th birthday as well as another performance by him and his youth pastor (repeat performance of what he did in May). This performance was held at our church and we were all able to attend. It was a wonderful concert and I was so proud of Mitchell's participation in this event. Sadly, the same day, he took his driver's test, and failed by three points. That was hard for him---to come off of a disappointment that huge and then having to perform with a servant heart only a few hours later. However, he did it and came out feeling less defeated by the end of the day than he might have had he not been performing. One other exciting thing that stemmed from the summer and found its way into my fall and early winter is a prayer support group I started for myself and 6 other women in my life. This group initially began as a study and prayer group, but our need for prayer has forced it into becoming a sharing and praying group instead. We meet bi-monthly, but we have access to each other on a minute-by-minute basis thanks to modern technology. I've created a system through Facebook by which we can ask for prayer, encourage with words, and give updates on our lives between the times we meet in each others homes. This summer I felt a strong prompting by the Holy Spirit to begin this group. There are times I wish I would have said no to this prompting, because it has taken a lot out of me emotionally and spiritually. However, I think that it is because of my responsibility to these women and praying for them and the many needs they have, I have been able to focus more on others and less on myself and my own problems. These women have blessed my socks off and I don't know what I'd do without them. While I thought October would be somewhat less busy, I was wrong. It wasn't. However, we seemed to have adjusted to our regular routines by the time October arrived, which made me have less days where I felt like I was drowning. I previously mentioned that we had vehicle issues, and thankfully, Wayne and I were both able to trade-in our older vehicles for newer and better ones. I am now the owner of a red Toyota Yaris sedan, and Wayne has a Toyota Tacoma truck. Both of these vehicles are using less fuel that our previous ones did, so we're already ahead financially just by that sheer fact. I'm enjoying my car much more than my SUV, and Wayne's smaller truck is serving him well in comparison to the larger truck he had previously. And speaking of driving, Mitchell was able to obtain his driver's license in October, with a score of zero. You can imagine how validated he felt after failing one month prior. He's driven several times on his own, and I'm slowly but surely learning to "let go and trust God" for Mitchell's safety. It's hard to be the mom of a 16-year old boy. November brought the opportunity for the boys to attend a youth retreat for a weekend with their youth group, and during this time I was blessed with having a five-day break from my job at school. It think after having that many days off in a row and allowing myself to take a break while the boys were gone, gave me the resurgence of energy and restoration I needed in order to see myself through until the Christmas holidays. While the boys were at their retreat I read an entire book and watched four movies. Wayne and I actually went on a date. I honestly felt more rejuvenated after that five-day break in November than I did after the entire summer holidays. This brings us to December and the close of another year. In December we've been able to participate in a lovely evening of comedic Christmas entertainment at our church with Phil Callaway; participate in a youth Christmas dinner; attend a fundraising event for the Bible camp we support; engage in family gatherings and school activities with my students; plus spend part of our Christmas Eve at our church with fellow believers, reflecting on the amazing story of Jesus' birth. I spent most of that service in tears--some tears were of gratitude, some were of sadness, and a few were of joy. But being there gave me the opportunity to release much of the emotion I had been allowing to "pile up" over the past few months prior to the Christmas season. It felt good to release it. Overall, I will say that the highlight of the year for us as a family was taking on our church's challenge to read through the Bible in a year. We chose to do this as a joint effort, so every night after supper in the year 2015 (as much as possible), we grouped together in our living room to read passages from the Bible--many that I had forgotten about--many that were once somewhat insignificant to me have now gained more significance--many that brought certain perspective at just the right time for us in 2015. Sometimes our reading felt chore-like and mundane, but I think that is normal when you take on such a challenge. Reading Leviticus aloud is painstaking. Reading Song of Solomon aloud to your teenage boys is a unique experience. The prophetic books can also become tedious to read aloud. However, we did it. We made it through and I think we were all encouraged and blessed by this challenge. My new favourite book of the Bible is Esther. I love how God used her precisely, at just the right time, to fulfill His purposes for His people. I can look back at this year and say that I've grown. Sometimes the growing has been painful. There are many individual experiences that I so badly wanted to write about here on this blog in 2015, but the issues of time and privacy would not permit me to do so. My heart has ached and has been torn this year. My heart has also been made fuller by the many blessings and joys I've been able to experience.